Now in our fifth year of operation, the Steinberg Institute is capitalizing on the political momentum created by a new governor who has prioritized mental health policy by pursuing an ambitious legislative agenda of more than a dozen bills. We seek again to have an outsized impact on California’s policy agenda with bills that would end the discrimination and roadblocks too frequently faced by people seeking care, put an end to turf wars that keep qualified professionals from helping patients in need of treatment, enable communities to quickly build badly needed supportive housing, find out how many people with mental illness are living in board-and-care homes, and fund early psychosis intervention and serious mood disorder services. Sometimes the process of getting legislation happens over a longer period of time than one legislative session, with initial attempts serving to initiate discussion and prepare the ground for later adoption. With that in mind, in two cases this year we are sponsoring legislation that was vetoed by the previous governor despite getting bipartisan support in the Legislature. One bill would enable certification of peer support providers, the other would stop the prevention of clinics from billing for mental health visits on the same day as other types of medical appointments. We also are backing bills advancing causes embodied in bills held earlier in the process for various reasons, including one to make more public mental health psychiatrists eligible for loan repayment funding, one to increase availability of counseling for college students, and another to increase the focus on mental health in disaster planning. SB 10 (Senator Jim Beall) seeks to establish a peer certification process in California. A peer provider is a person who draws on lived experience with mental illness and/or substance use disorder and recovery, bolstered by specialized training, to deliver valuable support services in a treatment setting. Across the nation, peer support programs have emerged as an evidence-based practice with proven benefits to both peers and the clients they assist, including reduced hospitalizations, alleviation of depression and enhanced self-advocacy. A peer support program also creates a career ladder so that consumers and family members working in mental health care have the opportunity to fully contribute, translating their experience into meaningful employment. Across California, peer providers are already utilized in many settings. However, there is no statewide standard of practice, consistent curriculum, training standards, supervision standards, or certification protocol in California. California is now only one of two states (the other is South Dakota) that does not have peer certification. SB 11 (also Senator Beall) – The federal Mental Health Parity and Addiction Equity Act of 2008 (MHPAEA or Parity Law) promised equity in insurance coverage of mental health and substance use disorder care, but years later mental health parity is still not a reality and too many Americans continue to be denied care when they need it the most. We must hold health insurance plans accountable to comply with the letter and spirit of the law. This bill, which we are co-sponsoring with the Kennedy Forum and the Mental Health Services Oversight and Accountability Commission, would strengthen parity provisions within state law and require health care service plans and insurers to demonstrate annually that they are following existing state and federal parity laws. Californians in need of mental health and addiction care should receive the care they need without prejudice or delay. SB 66 (Senate President pro Tempore Toni Atkins/Sen. Mike McGuire) would dismantle a regulatory barrier that keeps some of California’s poorest and most vulnerable residents from accessing services for both mental health and physical health on the same day. This bill would require the state to allow community health centers to bill Medi-Cal for two visits if a patient is provided mental health services on the same day he or she receives other medical services. Across the state, these vital centers – called Federally Qualified Health Centers and Rural Health Clinics – serve more than 6.5 million patients. The vast majority of their clients live at or below the poverty line, and a substantial number are enrolled in Medi-Cal. SB 331 (Senator Melissa Hurtado) – This legislation emphasizes a more proactive approach to preventing suicides. The bill will require that all California counties develop a suicide prevention plan, with a particular eye to stemming the staggering rise of adolescent suicides. Youth suicide and self-inflicted injury is on the rise, and is the second leading cause of death among youth ages 14 to 24 in the U.S. In California, almost 20 percent of high school students seriously considered attempting suicide in the previous year, with almost one-half (49 percent) of LGBTQ students reporting suicidal ideation – more than three times the estimate compared to their straight peers. California’s counties must act to stem the state’s tragic rise in suicide rates. To do so, they need strategic suicide-prevention plans that focus special attention on children under the age of 19. A handful of counties have taken the initiative to develop such plans on their own, but it is too important to wait on the others to follow suit, so the state must show the way. SB 744 (Senator Anna Caballero) – This bill would expedite the local and state siting process for the 20,000-plus housing units authorized through the $2 billion No Place Like Home (NPLH) bond program that voters overwhelmingly approved in November via Proposition 2. California is in a state of emergency with a growing population of homeless individuals who are living with a serious mental illness. SB 744 would require local governments to approve permanent supportive housing projects that meet specified state and local requirements, such as if the housing is in a county’s application for competitive funds under the No Place Like Home Program. Local agencies could engage in design review, subject to specified requirements, but permanent supportive housing would be declared a “use by right” in zones where multifamily and mixed uses are permitted, including nonresidential zones permitting multifamily uses, subject to specified state and local criteria. SB 744 would also require resolution of actions or proceedings against projects within 270 days, where feasible; would impose a 10-day time limit for the filing of a legal challenge after a notice of determination; and would eliminate awards of attorney’s fees to prevailing parties unless the Attorney General determines that the action or proceeding is brought to protect a public interest. AB 512 (Assemblymember Phil Ting) -This bill would require each county in the state to assess cultural competency needs with mental health services systems and create detailed plans for providing culturally competent and age-appropriate services. Plans would need performance targets and emphasize developing trauma-informed services. This bill recognizes that health equity is central to the well-being of people of color across the state, who face persistent disparities in health outcomes. 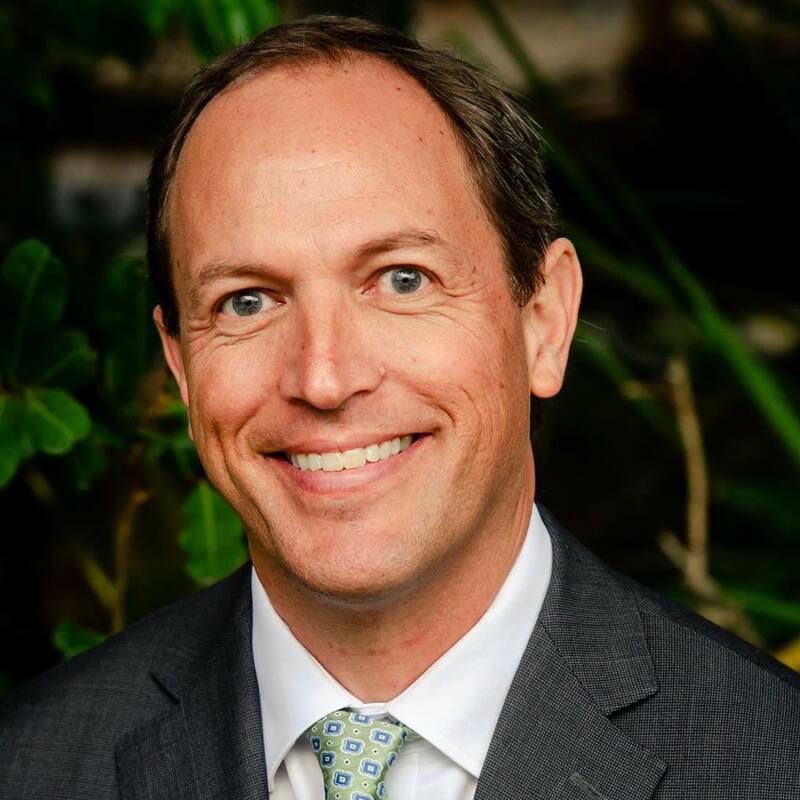 AB 565 (Assemblymember Brian Maienschein) – The shortage of psychiatrists in the United States has reached crisis levels. This bill would increase the budget of the Steven Thompson Loan Repayment Program, allowing more psychiatrists practicing in the public mental health system to be eligible for loan repayment funding. In 2017, the National Council for Behavioral Health projected demand for psychiatry would outstrip services by 25 percent in 2025. The dynamic is evident in California where county mental health departments labor, often in vain, to fill psychiatrist vacancies. According to state records, 23 of California’s 58 counties have fewer than one psychiatrist per 10,000 residents, while six counties have no psychiatrists at all. One way to incentivize students to pursue psychiatry lies in tackling the burden of debt that so many students shoulder as they pursue advanced medical degrees. AB 713 (Assemblymember Kevin Mullin) – In 2017, we sponsored and the Governor signed AB 1315, by Assemblymember Kevin Mullin, which sought to establish an innovative public/private partnership for funding of early psychosis intervention and serious mood disorder services. However, within the legislation there is currently a requirement that only private funding can be deposited into the account established at the State Treasurer’s office to start the program. Unfortunately, the private funding we anticipated has not materialized. As a result, our proposal is to amend AB 1315 to allow the flow of both public and private funds so that counties are able to scale up evidence-based intervention and treatments that have proven effective in arresting conditions such as schizophrenia, bipolar and other mood disorders before they become disabling. AB 890 (Assemblymember Jim Wood) – California is 1 of 28 states, and the only western state, that restricts nurse practitioners by requiring that they practice and prescribe with physician oversight. A large body of research has linked such restrictions to a lower supply of nurse practitioners, poorer access to care for state residents, lower use of primary care services, and greater rates of hospitalizations and emergency department visits. Although proponents of scope of practice restrictions argue that physician oversight is necessary to ensure quality of care, dozens of studies demonstrate that the quality of nurse practitioner care is comparable to that of physician care, that there is no difference in the quality of care when there are no physician oversight requirements. In addition, several studies have found that giving full practice authority to nurse practitioners is associated with lower costs of care. AB 1055 (Assemblymember Marc Levine) – This bill would require a person who is released from a 72-hour hold to have an action plan with them for follow-up care. It would require the psychiatrist, psychologist, or medical director authorizing a release to ensure that an initial outpatient appointment with a psychiatrist or psychologist is scheduled for within 5 days of the release. Studies show that a significant number of suicides occur within a few hours after a person is released from a psychiatric hold. AB 1601 (Assemblymember James Ramos) – California has borne more than its share of disaster in recent years, from mass shootings to devastating wildfires and deadly mudslides. Research is clear that such trauma can impact people’s mental health seriously for long periods of time. This bill would establish a behavioral health deputy director position within the Governor’s Office of Emergency Services. The deputy director would be charged with preparing for and coordinating trauma-related support during and following a natural disaster or declaration of a state of emergency. This legislation would help to ensure mental health needs are included in the state’s strategies for supporting and rebuilding communities impacted by disasters. AB 1689 (Assemblymember Kevin McCarty) – This bill would set up a competitive grant program for public colleges and universities to invest in student mental health, which in some cases do not meet national staffing standards for psychiatric services and other mental health professionals. Access to mental health services on public college campuses varies, with some systems offering direct access to services and others having no mental health professional on campus. Recent data and reports have shown students experiencing increased rates of mental health issues. AB 1766 (Assemblymember Richard Bloom) would require the California Department of Social Services, Community Care Licensing Division (CCLD) to collect data on the number of individuals living with severe mental illness (SMI) who are currently residing in licensed Adult Residential Facilities (ARF) in order to determine if the types of community care facilities are appropriate to meet the needs of individuals with severe mental illness. SB 542 (Sen. Henry Stern) would enable firefighters and other public safety officers to receive workers compensation for mental health conditions. Firefighters and police officers are frequently exposed to occupational horrors that take an overwhelming toll upon them both physically and emotionally. Existing law already provides rebuttable workers’ compensation to public safety officers who contract certain illnesses or sustain injuries in the course of doing their jobs. SB 542 would simply extend the same benefits for mental health conditions. Find our full 2018 Legislative Package here.